Handmade Creations by Sheena Sanchez. I am ever so the crafter and use my free time just fiddling around with materials. Labor of loves that I want to share with others. If Item description reads, ::SOLD OUT::, unfortunately I do not have any more materials to make more. If item description reads, ::OUT OF STOCK::, I do have more materials to make more. For customized orders, please contact me directly via online posting. If a different quantity is needed, just ask. If I have the supplies and time, I will do my best to help you out. I normally don't see comments that often or that quickly but emails will be answered quickly. THANKS! 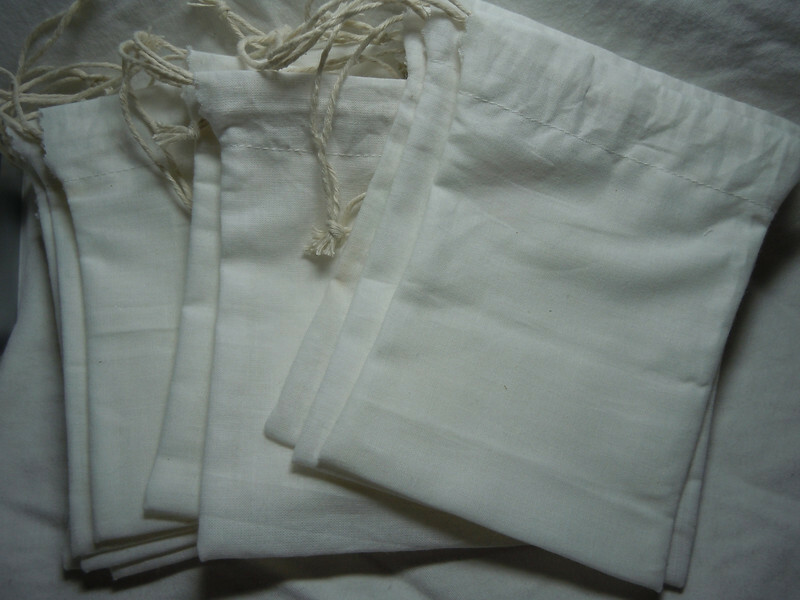 4" x 5" of Sew Essentials Bleached White Muslin made of 100% Cotton. 12 bags can be found in this set. $5 for this set.